Based on the Emerging Threats signature hits, the malicious Word document from this email downloaded a version of Chanitor. UPDATE: Someone notified me this version of Chanitor is pulling in Vawtrak (although I coudn't get the Chanitor sample to work properly on my infected VM). 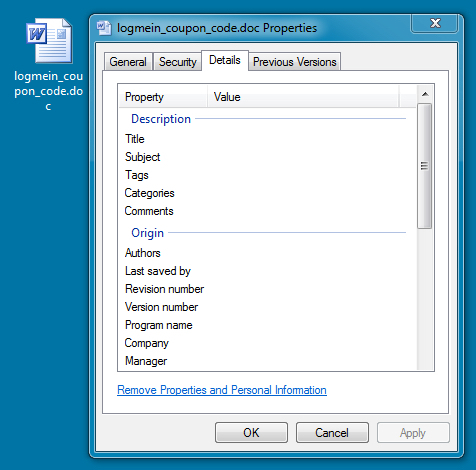 In early January 2015, we have launched new versions of LogMeIn Central designed to deliver improved security to our customers. For security reasons, every account must be updated to one of the new LogMeIn Central interfaces ( Central Basic , Central Plus , Central Premier ). Coupon codes have been awarded to our clients, in order to encourage early subscription to the new interface. 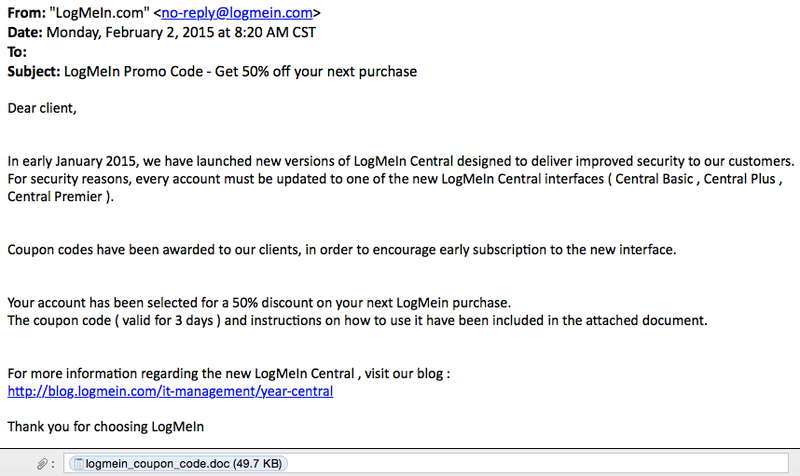 Your account has been selected for a 50% discount on your next LogMein purchase. The coupon code ( valid for 3 days ) and instructions on how to use it have been included in the attached document. 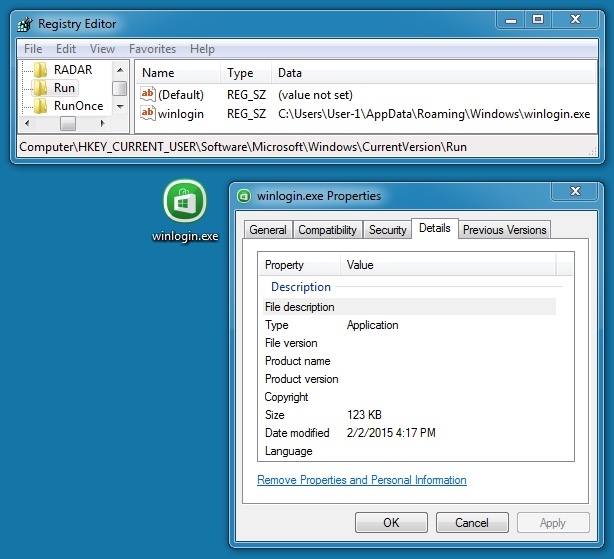 2015-02-02 16:18:04 UTC - HTTPS traffic to: ho7rcj6wucosa5bu.tor2web.org (common to other ransomware samples).